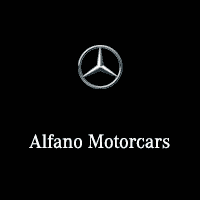 At Alfano Motorcars Mercedes-Benz, we believe in giving you the best Mercedes-Benz owning experience possible! No one likes getting their vehicle serviced, and there are a lot of corner service shops that are ready to take advantage of you in your time of need. That’s why you should come to Alfano Motorcars Mercedes-Benz for all your Mercedes-Benz work. At Alfano Motorcars Mercedes-Benz , we believe in giving you the best Mercedes-Benz owning experience possible, and one of the many ways that we do that is through our service department. So the next time you need a tire rotation, wipe blade replacement, or even major service work or repairs, come down to Alfano Motorcars Mercedes-Benz, and let us take care of everything for you. We chose SLO as our home because we knew that the San Luis Obispo area deserved to have a high-quality Mercedes-Benz dealership. Not only that, but you also needed a Mercedes-Benz service center that you could count on. Since we began in 2012, our reputation as a quality service center has spread, and now we frequently cater to guests and clients from all over the SLO area including Santa Maria, Paso Robles, Santa Barbara, Pismo Beach, Lompoc, and more. If you want to come to us next, then feel free to set up an appointment. Our dealership and service center is conveniently located right on the freeway. You can have faith in us because our service team is certified to handle anything that may come up with your Mercedes-Benz. They will perform your maintenance with the same level of care and precision that they would have if they were working on their own cars. They know that every Mercedes-Benz is something special and that every Mercedes-Benz deserves special treatment. Our team always works with the right parts and tools to get the job done, and we will always work hard to get your vehicle back out on the road as soon as possible. If you have any questions, then feel free to give us a call or reach out to us at your earliest convenience.